In our India their are differnt languages are used. In every states their is different language and Hindi is the national language of India. Hindi is the most widely spoken language in northern parts of India. 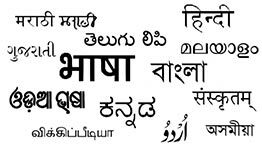 The Indian census takes the widest possible definition of "Hindi" as a broad variety of "Hindi languages".